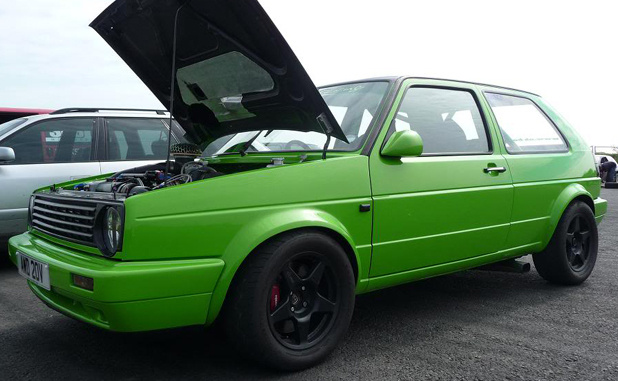 This MK2 Golf is well known throughout the VW & Drag Racing Community and continues to get better and better, year by year! In the summer at SantaPod it run a 10.1 sec on very worn road tyres. 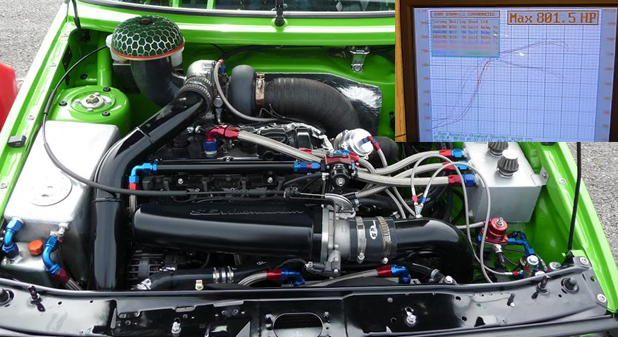 This is undoubtedly the most powerful 20v in the UK!? I for one am looking forward to seeing this smash its current 1/4 times once the drag radials are bolted on. One of the longest awaited Caddy's to appear on the scene, so much so it become a running joke amongst friends to whether or not it actually existed! 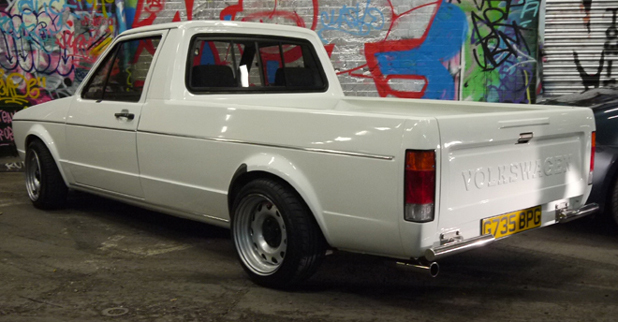 We first met Toby back in 2004 when we converted his MK1 Caddy to a 20v 1.8T. Since then we have worked on many of his projects. 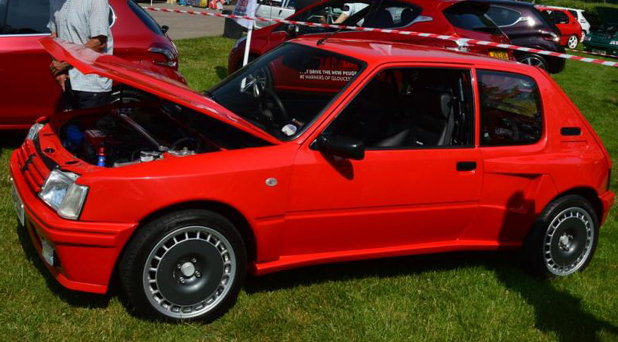 His latest is the out of the ordinary Peugeot 205 Cosworth 4x4, the spec is enormous and growing by the day! Exterior - Arrow straight & nicely painted by Gaz @ http://www.gmbodycraft.co.uk many years ago, and its still looking as fresh as the day it left his premises, fitted with a sliding window, 14 Mattig Steel Rims & custom rear bumpers. 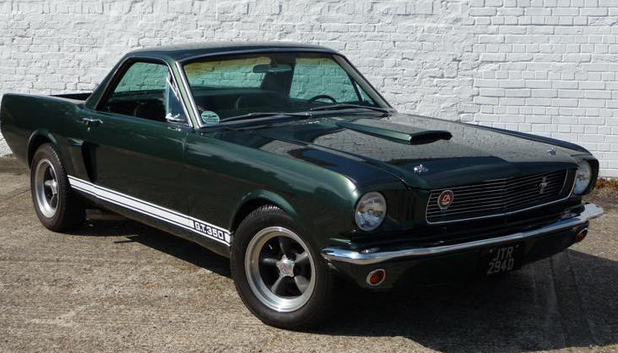 1966 Beverley Hills Mustero, One of the most unique classic mustangs ever built. This is one of the original Mustero's, it has been restored and improved in all steel sheet metal work, all bodywork was lead loaded with no filler anywhere. A hugely collectable car. At the 2014 Goodwood Festival of Speed this Mustero won first prize in the Concours d'elegance on the Cartier Lawn in the "Horses fo Courses class. Well done Mick! Exterior - Ground up restoration, originally built "Beverley Hills Mustang Pickup". imported into the UK as a complete basket case. 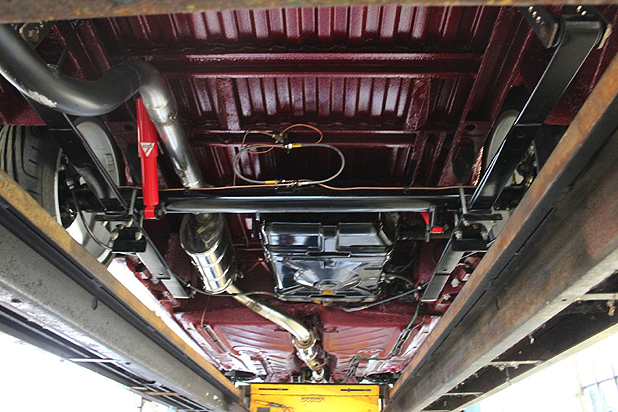 Richard first showed us pictures of the "work in progress" of this Caddy back in the summer of 2004 and we knew it would be a stunner once completed, and we wasnt wrong! 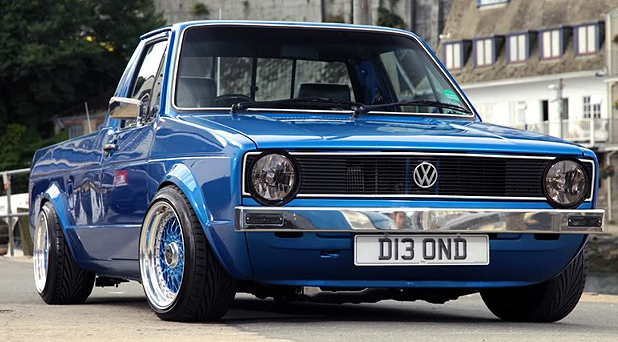 Most will recognise this Caddy as it seems to have been around forever! Which is a testament to the original workmanship that went into building this one as it is driven often no matter what the weather. Exterior - Finished in Metallic Inky Blue, 13" Image Wheels, Chrome trim, custom stainless bed rails & bed (roof) rack. Where do I start with this one? 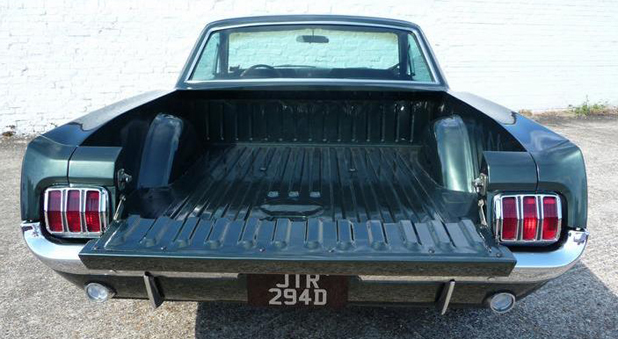 If you have not seen this Caddy doing the rounds then you must have been living on the moon! Dave's story started back in 2009 and in his words, he had the "passion but no ideas". Well a lot of water has passed under "Looe" bridge since then and Dave has turned a shot blasted shell into the Caddy that you see before us today. God help us when he actually has an idea! 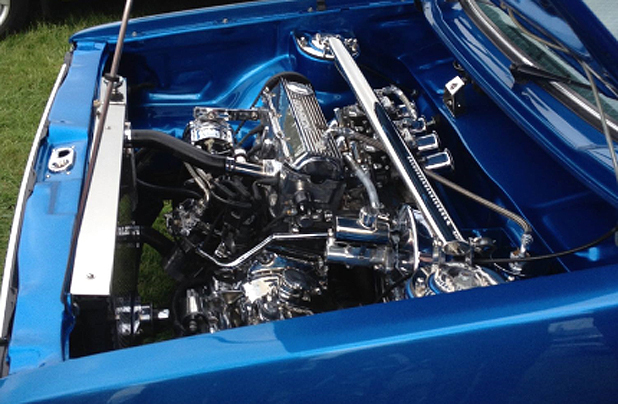 Engine - Chromed 2.0 8v with Twin Weber 45 DCOE's, in fact just about everything in the engine bay is chrome, and what isnt chromed is polished to the nines! 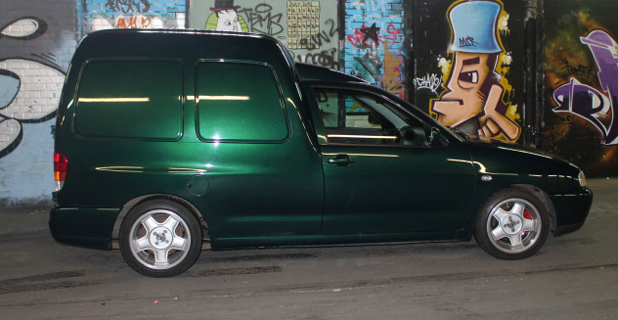 2000 MK2 Caddy 2.8 VR6 "Probably"
Originaly built by us as a work van and daily hack! Its started life a a humble 1.9 SDI in Flash Red! Interior - SEAT Cordoba Cupra half leather seats, including a rear seat conversion.